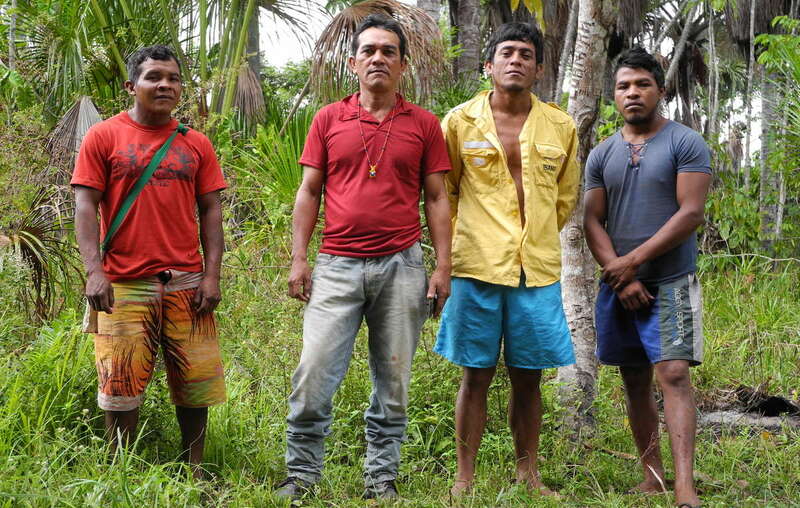 The Guardians of the Amazon need your help! We’re sending you these words today because we need you. Our forest is being invaded by illegal loggers, right now. It’s an emergency. We patrol, we find the loggers, we destroy their equipment and we send them away. We’ve stopped many loggers. It’s working. We constantly receive death threats from the logging gangs. Three of us were killed last year. But we continue, as our forest is our life. Without it, we would all be dead. Our uncontacted Awá relatives also live in the forest. They cannot survive if it’s destroyed. As long as we live, we will fight for the uncontacted Indians, for all of us, and for nature. Please help us to protect our forest. We will never give up. The Guardians’ tireless work needs proper backing. They need the government to fund and support them, not look the other way as they risk their lives – but their pleas have fallen on deaf ears. Please email the authorities in Brazil and urge them to help the Guardians. Emails sent: 18,838 Help us reach 25,000!